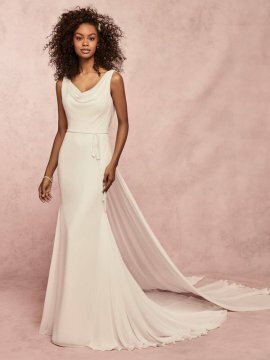 Elegant and Grecian-inspired, this Dulce chiffon A-line features a cowl neckline and scoop back. 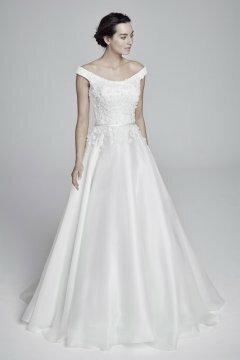 A chiffon double-panel train and attached beaded belt add unique romance to this look. 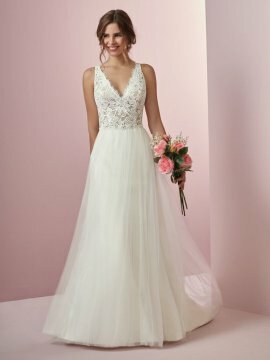 The beaded belt could easily be removed by a seamstress and replaced with an alternative plain or beaded belt of your choice. Finished with covered buttons and zipper closure. US6 (Fits as UK8) Ivory.